(Seychelles News Agency) - Three candidates will be contesting the National Assembly bi-election in Seychelles for the Anse Boileau electoral area, a vote scheduled for the weekend of February 24 -25. The president’s party Lepep did not submit a candidate. 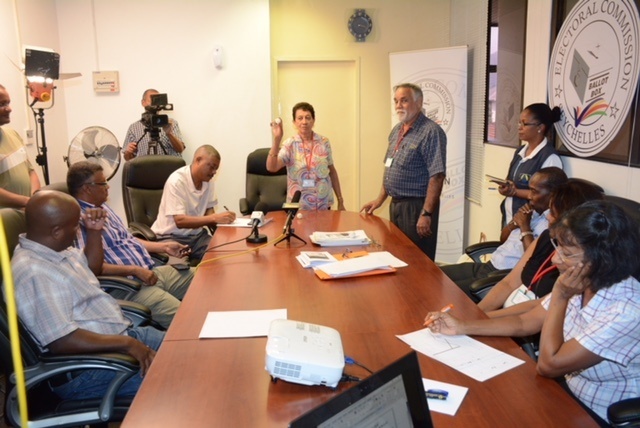 The three candidates who submitted their nominations on Monday are Louis Loizeau of the Seychelles Patriotic Movement (SPM), Phillip Arissol of the opposition coalition Linyon Demokratik Seselwa (LDS) and independent candidate Ralph Volcere. The bi-election at the end of February follows the resignation of Anse Boileau’s elected National Assembly member, Patrick Pillay, who resigned both as the speaker and as the Member of the National Assembly for the southern Mahe district. Philip Arrisol, the candidate for LDS, which has a majority of seats in the Assembly, told media he will work to regain the people’s trust in the opposition group. “I am here to work on what the former representative has established. Everything happens for a reason and I am not here to dwell on past mistake made,” said Arrisol. Lepep, the party holding the presidency in Seychelles, a group of 115 islands in the western Indian Ocean, announced that it will not take part in the bi-election. Gill said, however, the party remains committed to take part in any future elections that will not have a negative impact on the country. Loizeau, who is representing the Seychelles Patriotic Movement (SPM), said that with all the incertitude in politics he found it a necessity to stand for the people of Anse Boileau and that after having lived there for 41 years he is giving something back for his district. “Seychelles needs a representative that does not come from either of the two big political parties in the assembly. This will bring a new dynamic in the politics of Seychelles,” said Loizeau. The bi-election will have one independent candidate, Volcere, who said that his main reason for participating is to push for the issue surrounding the remote island of Assumption. “I want to use this opportunity to continue the protestation that we have started against the agreement signed between the Indian government and Seychelles to build a military base on Assumption,” said Volcere. This will be the third bi-election in Seychelles since the country’s return to multi-party democracy in 1993. The last time one was held was in August 2012 in the eastern district of Anse Aux Pins after the resignation of Jhowla Manoo. The first was in July 1998 in the central Mont Fleuri district after the resignation of Jean-Francois Ferrari.